*I sold out of all my hats but the sky blue one. 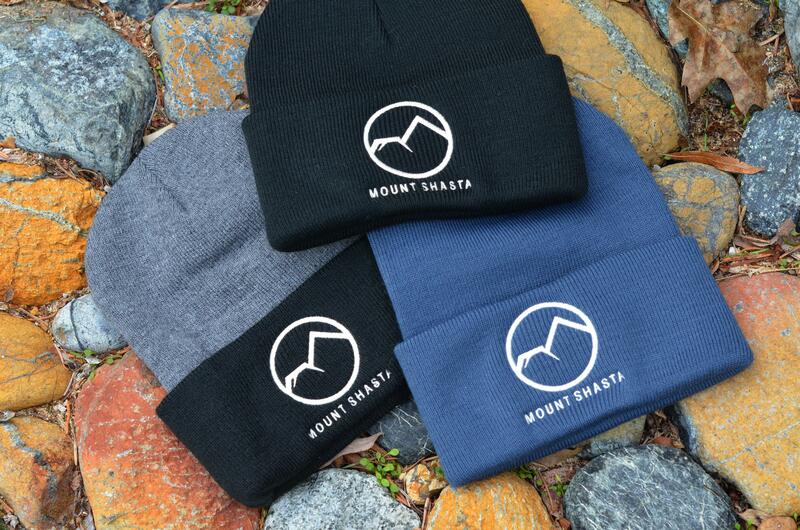 Update: If there is more interest in beanies, I would like to put in another order for more. I need to take orders for at least a dozen hats, preferrably two dozen. However, the bonus is the possibility of doing custom colors in both hats and stitching (see an example here). Email me if you are interested! We still have a couple of months worth of cold weather left this winter and many snowy winters yet to come. 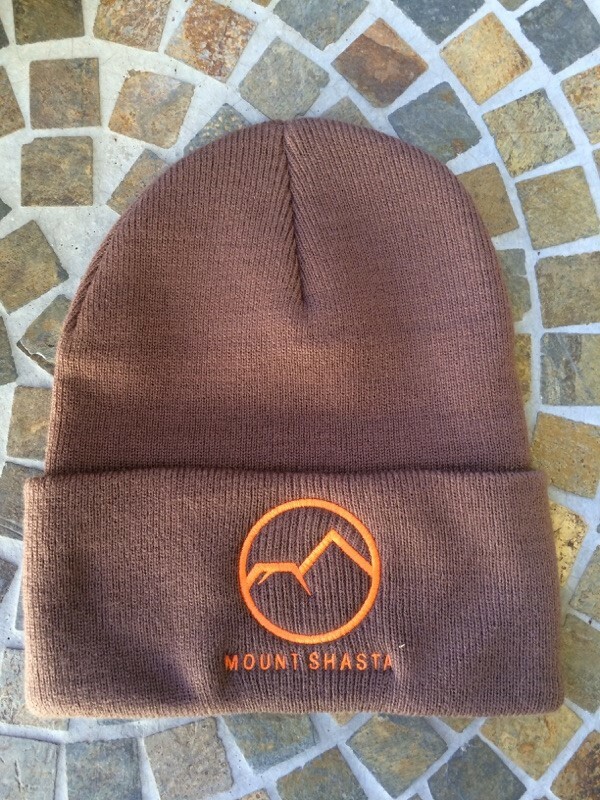 For those who want to keep warm and sport some Mount Shasta pride, I made a series of beanies with the Hike Mt Shasta logo on them. The beanies are really warm and cover the ears really well. The Hike Mt Shasta logo is centered with the mountain’s name underneath. I left the URL for the site off of the hats, for what that is worth. The hats come in black, gray/black, a grayish blue and I have one hat left in sky blue. Also, if there is enough interest in the hats, I can make another order of them with custom colors in both the hat and the thread that stitches the logo. I am selling them for $12.00. If you are interested in getting one, find my email here and let me know! The Yosemite Park And Curry Company logo. I think it is worth noting that the logo for Hike Mt Shasta is intended as a homage to the classic Yosemite Park And Curry Company logo that has been ubiquitous in Yosemite National Park for decades. Having grown up immersed in the park and its lore, the logo was around me constantly as a child and it has always had a lot of appeal to me. I especially love its clean lines and simple presentation of an iconic peak. I had tons of stuff with that symbol on it, from sierra cups with it stamped on the bottom of the cup to maps and T-shirts. When it was time to design a logo for the website, there was never any consideration for anything other than a tribute to Yosemite’s great logo. Thankfully my friend Jeff Summers, who is a gifted graphic designer and artist, came through for me and was able to come up with exactly what I had in mind. He is responsible for many awesome shirts and designs around Siskiyou County, including the Mount Shasta shirts I made! I think it is a simple, classy way to promote Mount Shasta and still pay tribute to a place that has philisophical connections to this area. 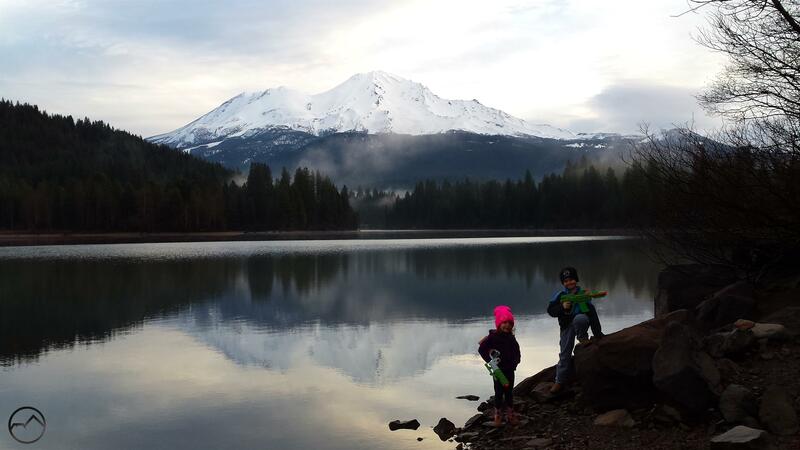 A couple of models sporting Mount Shasta beanies!